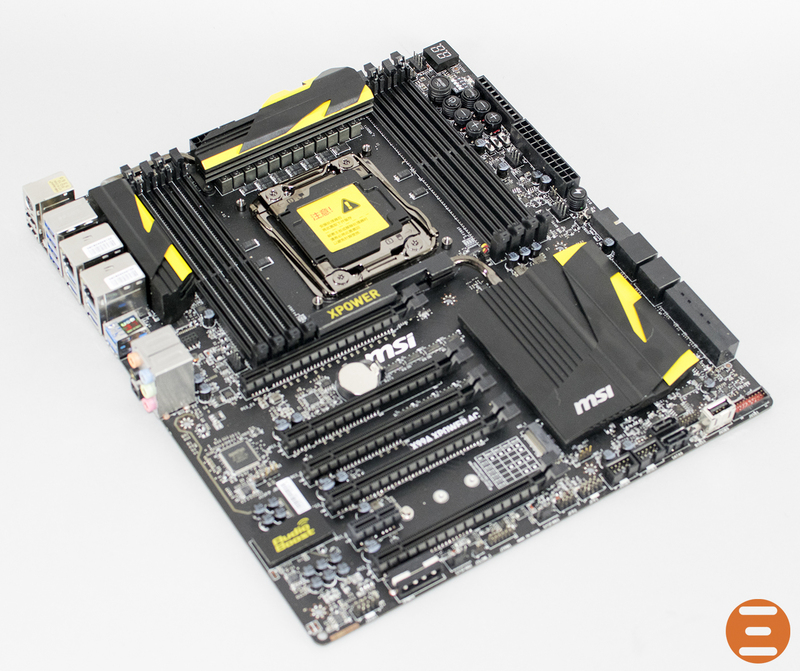 Has MSI got the "XPOWER" to conquer all? 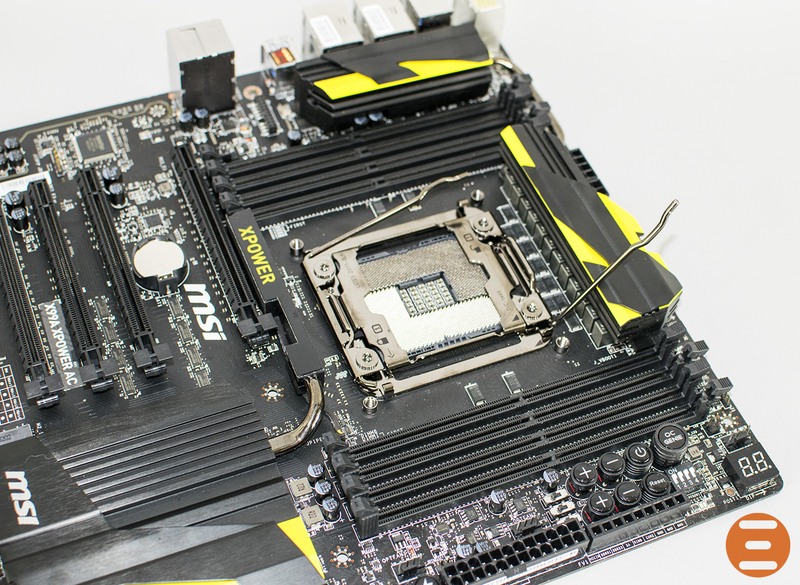 We have seen quite a few different variations of Intel’s X99 motherboard over the past couple of months, but has any really stood out as being “the king” and delivering performance worthy of the monstrous Intel Core i7 5960x with a whopping 8 cores and 16 threads? Today could be the day with MSI’s latest refresh (yes I said refresh) on their X99 XPOWER motherboard as of course, like every other manufacturer, they have added a couple of super-fast USB 3.1 Type A ports into the mix; future proofing is the name of the game. MSI have been one of the biggest names In PC components, let alone motherboards with their highly popular Gaming series which of course brought a “red and black” theme to their catalogue; not original but then again, who owns a colour scheme? Another lineage from MSI is, of course, the Lighting range, which is essentially the best of the best when it comes to overclocking; also means more horses for courses for regular enthusiasts who want to make the most out of their other hardware such as memory or CPUs. So onto the good stuff, the MSI X99A XPOWER AC is nothing short of magnificent on paper featuring 5 x PCI-e x16 Gen 3 ports; yes I said 5! Also included is support for 4 way AMD Crossfire or NVIDIA SLI with the ability to use the latest Turbo M.2 32GB/s technology. This particular monster also features 10 regular SATA 6GB/s (SATA3) ports allowing for pretty hefty storage solutions; this includes the use of RAID 0, 1, 5 and 10 which it’s worth pointing out only operates from port 1 to 6. On top of this, we have the regular suspects such as Audio Boost which is a regular feature on MSI boards of late; audio is a huge part of people’s lives so it makes sense to give an experience worth using! The amount of features on this board is mesmerising with Dual Intel LAN, the new USB 3.1 Type A ports, integrated Wi-Fi AC/BT for those cablephobes among us, special OC back plate for easy mounting of DICE/LN2 pots and OC Essentials; this is essentially *mind the pun* OC buttons which allow for easier control when benchmarking/overclocking. XPOWER = Yellow and black, Lightning DNA, it oozes quality! The MSI X99A XPOWER features a whopping 12 power phase design which is all digital; this is for providing a highly stable power flow which not only reduces power consumption, but also allows for better voltage offset control which helps to improve overclocking stability. 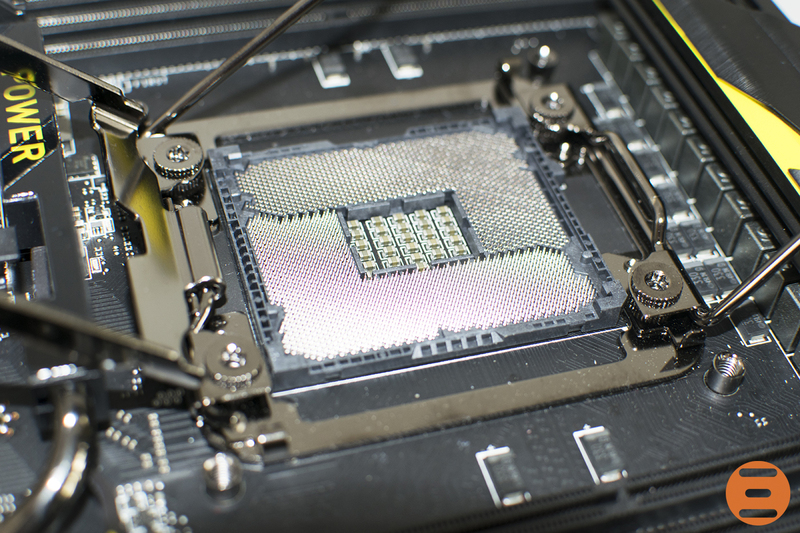 For those also wondering, this particular board is based on the Intel X99 chipset which is the LGA2011-3 socket; one great new feature is the addition of extra pins which allows for better cache overclocking, widely known as an OC socket. One handy thing about the X99S XPOWER is that MSI have included a PCI-e layout diagram on the board itself; when installing graphics cards or PCI-e devices, it allows you to plot each cards location perfectly depending on the type of CF/SLI setup you might be using, or planning to use of course. This is obviously going to be covered if the Turbo M.2 slot is in use so bare that in mind prior to installation. 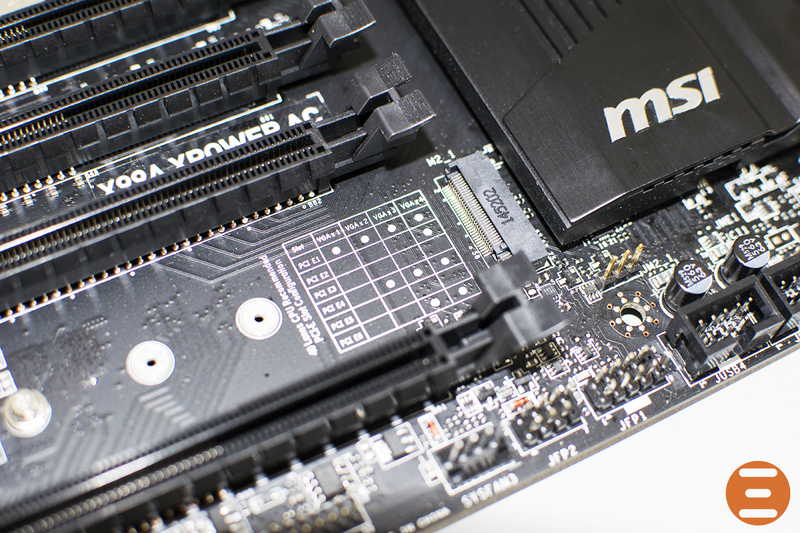 Want to house up to 128GB of DDR4 memory? 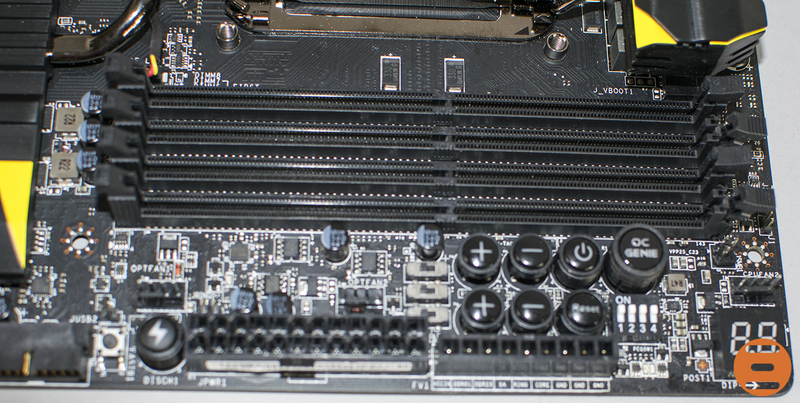 Not an issue as with most X99 motherboards, they come equipped with 8 x DIMM slots, but the kicker with the XPOWER? It supports DDR4 memory up to speeds of 3333MHz; that is insanely fast although not all X99 CPU’s IMC’s can handle such raw speed so don’t be disappointed if you can’t do it, the problem is the silicone, not the board! On the right-hand side of the board, we have the MSI OC Essentials which effectively allows control of various functions of the motherboard when overclocking, without the need for the BIOS. This includes BCLK adjustment, voltage adjustment as well as multiplier adjustment; an easy and hassle free way of overclocking. Also featured is a power, reset and MSI OC Genie button for those who don’t want to faff around with manual overclocks! Finally, we have V-Check points which allow monitoring of various voltages; a very handy thing when sub-zero overclocking and that is exactly what this board is designed for, maximum performance! In addition to the CMOS reset button, these can sometimes leave settings and profiles behind; MSI has also included a “Complete Discharge Button” which fully resets the board back to factory settings; dual BIOS is also featured which is common today on top quality overclocking boards. A great review Gav. And for lazy guys like me the first and the last pages were the best. Thank you very much Arif! In our ECS GANK DRONE Z87H3-A3X review, we put it through its paces and find out if it is a bargain motherboard or if it is one to avoid. How does it do?